Even as an unconditional reconciliation has taken place between the two Naga People’s Front (NPF) groups i.e., the party organization and the legislature, party sources disclosed that another major reconstitution of the Democratic Alliane of Nagaland (DAN) ministry is expected by December 12 next. Sources claimed that the party received a big boost after Lok Sabha MP and NPF (NR-TR) president Neiphiu Rio resigned from the post and affirmed his support to the party under the leadership of Dr Shürhozelie. 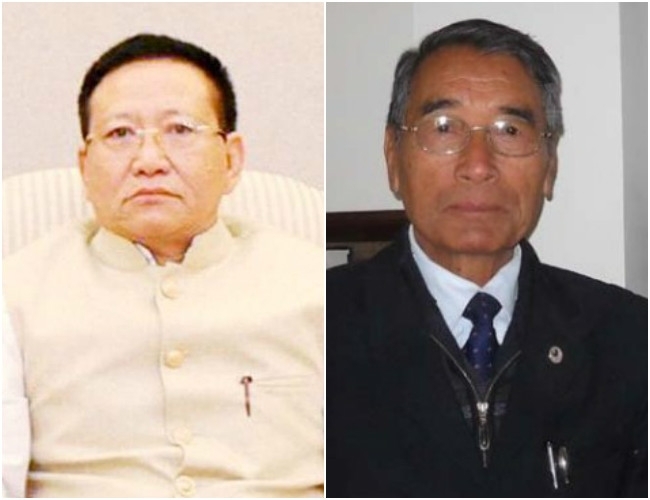 Sources further informed that the reconciliation process which was underway for the last few days, was formalized at a meeting on Thursday between Dr Shürhozelie, MLA and three others from the group and Chief Minister, T R Zeliang along with three others from the legislature. The meeting resolved to pursue reconciliation between the two groups without condition, sources said. The joint meeting between the two groups reaffirmed that T R Zeliang will continue as Chief Minister and Dr Shürhozelie Liezietsu will be DAN chairman while Yitachu, MLA will be the party chief whip in the Assembly. On the reconstituted council of ministers, it was disclosed except for Chief Minister T R Zeliang, all members of the Council of ministers will tender their resignations in order to allow the Chief Minister to choose his cabinet. Some former ministers will also be inducted in the Ministry during the reconstitution of the council of ministers. The BJP which has four members, has also made known that it was keen to continue with the alliance under DAN. On selection of candidates for the 2018 assembly election, the sources said that the party will keep its promise to allot tickets to performers and winnable candidates. He said time has come for all to bury the hatchet and look towards resolving the Naga political problem before election, since it was the long pending desire of the Naga people.